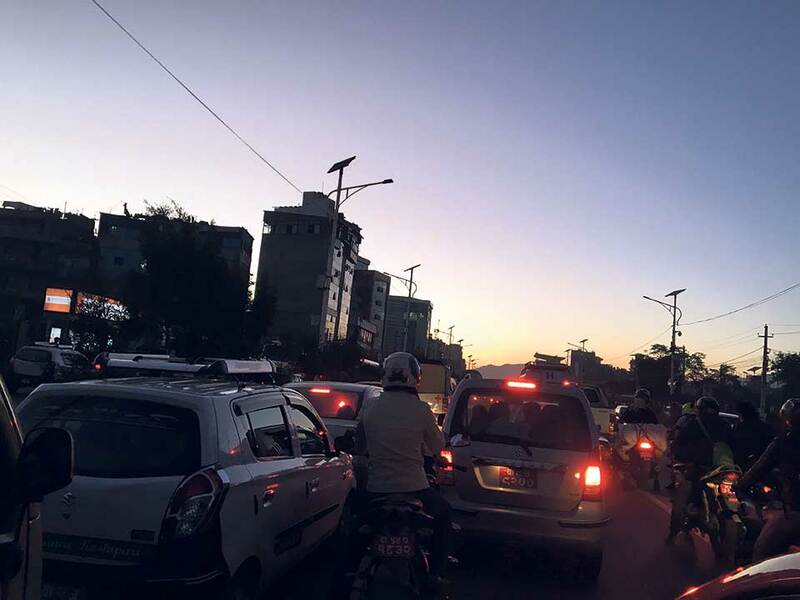 KATHMANDU, March 2: The economic cost of traffic congestion in the Kathmandu Valley was above Rs 16.5 billion in 2018, according to an estimate. The loss calculation was made based on the collective time wasted of drivers and passengers, in all vehicles plying on Kathmandu Valley roads. Speaking at the ‘International Conference on Belt and Road Initiative: Nepal Connecting the World’, engineer Partha Mani Parajuli on Wednesday said that the economic cost of traffic congestion could be larger, and that the calculation was only a rough and humble approximation. Parajuli, an Australia-based engineer, had conducted the study jointly with Krishna Singh Basnet, executive director of Roads Board Nepal, a government entity responsible for road maintenance. The loss, however, was exclusive of marginal increase in fuel consumption and air pollution. The engineer-duo estimated that the outdoor air pollution could have cost the country Rs 18.3 billion. Likewise, premature deaths and disabilities resulting from road crashes cost the country over Rs 14.6 billion in 2018 alone, they said. 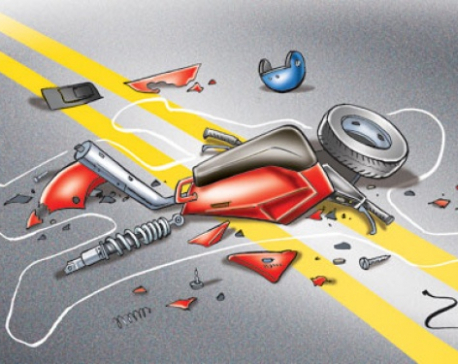 The figure was exclusive of the loss of vehicles and other damages made on the road due to accidents. Parajuli said that lack of separate operation services for the roads and motor vehicles, together with lack of budget for road maintenance, were major factors to be considered to mitigate losses on the road. Federal government has allocated only Rs 5.5 billion for road maintenance, while the allocation for building roads is over Rs 70 billion for the current fiscal year. Demand for new roads by politicians is far higher than that for keeping the roads intact, according to officials of Roads Board Nepal. The board maintains roads by collecting road tax from major points along the national highways. The engineer-duo has suggested implementation of Intelligent Traffic Signal (ITS) System to reduce the traffic losses to the nation.